It looks like the correction has been finally completed in the form of a usual zigzag pattern, and right now the price is forming a descending impulse in wave (1). 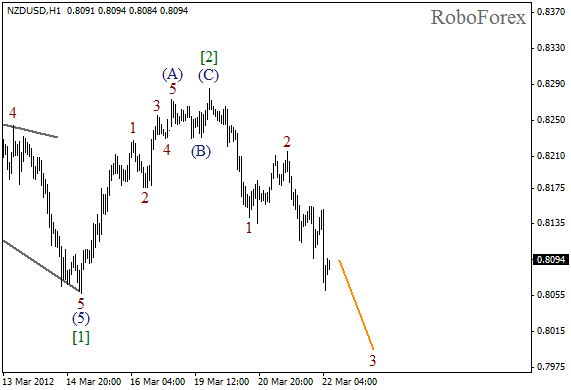 The pair is few tens pips away from the local minimum. In the near term, we can expect the price to continue falling down. Wave (C) turned out to be much shorter than wave (A). 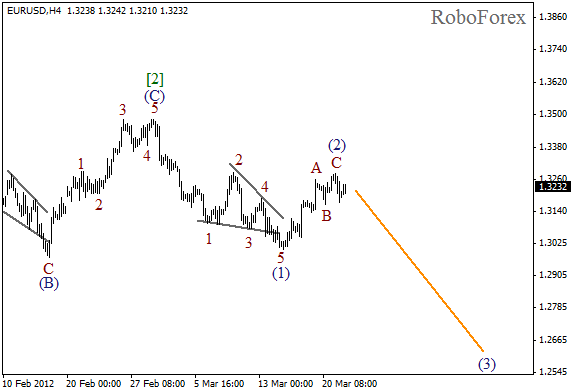 On the minor wave level wave 2 has been completed in the form of flat pattern. At the moment the price is forming an extension inside the third wave. The pair may continue falling down during the next several days. We may assume that the correction has been finished in the form of a usual zigzag pattern, and right now the price is starting to form the third wave. The forecast for the next several days remains bearish. 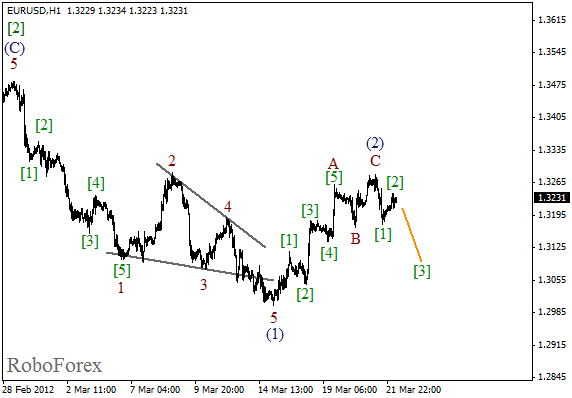 The lowest target of wave (3) is the level of 1.2600. As we can see at the H1 chart, the range of wave (C) wasn’t very wide. On the minor wave level the price has completed an initial descending impulse. Wave  is also almost finished. 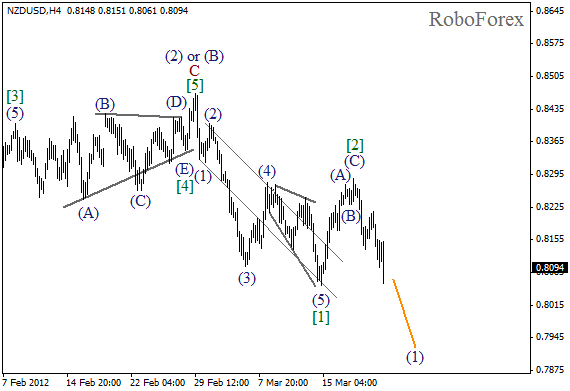 Thus, in the near term we can expect Euro to start falling down while forming wave .